You need secure fileservers, trusted email, and innovative collaboration tools to grow your business. G Suite by Bi101 makes that a reality. With G Suite, you get custom email (@yourcompany.com), 30GB of storage, an ad-free experience, and more. Get 30GB of space per user to create, edit, and share documents, spreadsheets and more, from any device. Administer your business with sophisticated tools, all backed by world-class security, encryption, and data loss security. 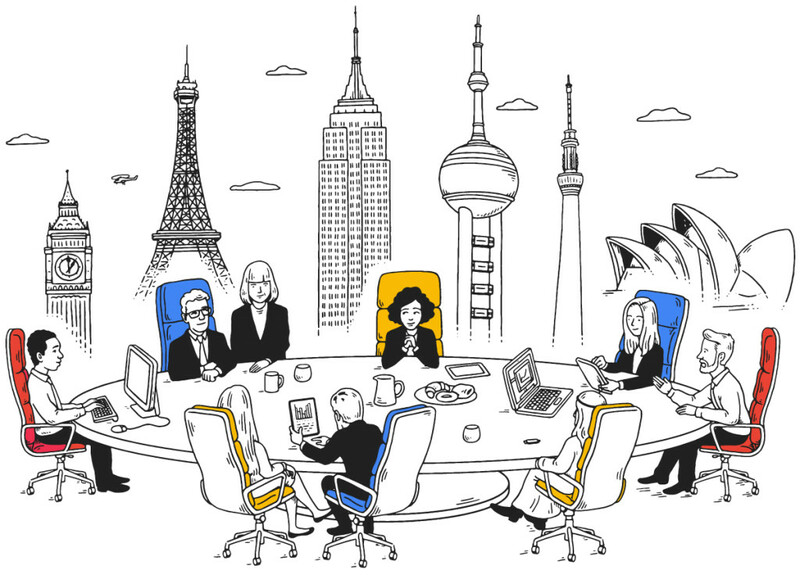 Why should you work with a Google partner to migrate to the cloud? You’ve done your research, and you want the tools that Google offers through G Suite. From included backups to machine learning-powered search, G Suite offers everything a business needs to grow. But migrating to the cloud seems like an impossible undertaking. How do you translate Active Directory permissions to the Google Drive administrative tools? How do you ensure files are versioned and retained as required by regulation? What can be done to ensure trade secrets aren’t revealed through unencrypted transmission or a lost device? Business Intelligence 101 specializes in helping high-technology companies move into the cloud painlessly and successfully. Whether you want better email, a cloud-based company fileserver, or just let employees collaborate simultaneously on a single document, we help get you set up and then stick around to make sure the experience is nothing less than perfect. On top of that, we add value to your G Suite experience. We offer personalized support, plus ongoing educational opportunities to help employees increase their utilization. Need to archive email? We can help with that. Want to stop spending on a video conferencing solution? We’ll train you up on Google Hangouts. G Suite is a complex opportunity, and Bi101 is here to help get you started. Want to look more professional in your correspondence? Get a custom email address (@yourdomain.com) with 30GB of storage and best-in-class spam protection. iOS and mobile apps mean you can get more work done remotely, and Google’s ultra-reliable servers mean 99.9% uptime on top of automatic backups. Migrate your entire organization’s fileserver to the cloud, with potentially infinite space for sharing and collaborating on files. Access your work whenever you need it—from your laptop, tablet or phone—with full synchronization and file history/versioning. Google-powered search equates to faster file discovery, which equates to more productivity. Spend less time planning and more time doing with shareable calendars that integrate seamlessly with Gmail, Drive, Hangouts, and all your contacts. Smart scheduling helps coworkers collaborate on finding mutually-agreeable times, and help employees reserve a conference room by setting up shared resources. A suite of sophisticated tools allow employees to create and collaborate right from their browser—no dedicated software required. By enabling real-time collaboration, more people can work on the same document at the same time. Open dozens of different filetypes, and use Google-powered natural language search to enable more sophisticated analysis. Search, manage, retain, and export your organization’s email and on-the-record chats through web-based administration tools. Multiple policies can be created based on different business units, date ranges, and more. In the event of an audit, complex search helps track user activity and preserve critical conversations for an extended period of time so as to maintain full compliance. To help mitigate the concerns of wanting to migrate into the cloud, Google has launched 5 new Google Drive enterprise tools, including better admin and AI. Want to collaborate and grow with G Suite?